Apologies for not getting this newsletter out sooner. 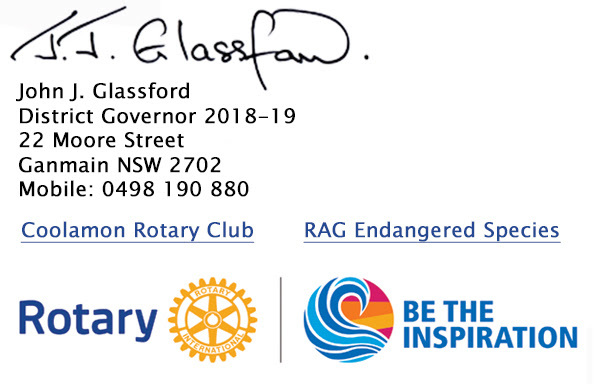 We have been very busy preparing the Polio PARADE and Conference Griffith 2019 plus the Rotary Showcase on the 30th March in conjunction with Griffith 2019. We have now met with most of the Assistant Governors and D9700 Presidents and I have been buoyed by the response to our plans. The route for the Polio PARADE can be seen on page 9 of this newsletter. It has been changed and now reflects the club responsible for each leg. Please take time to look at this page and get back to me with any concerns. 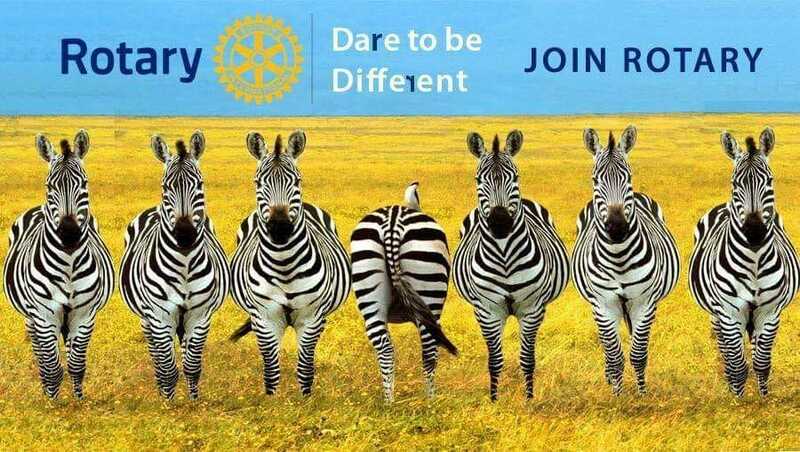 The Griffith 2019 Conference is on track to give all of you a break from the drought, floods and fires we aim to have fun at the same time learn a lot about Rotary and how Rotarians serve their communities. The Australian Army Band Kapooka is confirmed for the Saturday night and the great Charleston dance off! Start training and let us have a great evening celebrating our friendship and make it a memorable night in Griffith. Please do not hesitate to call or email me at anytime with any ideas or concerns.